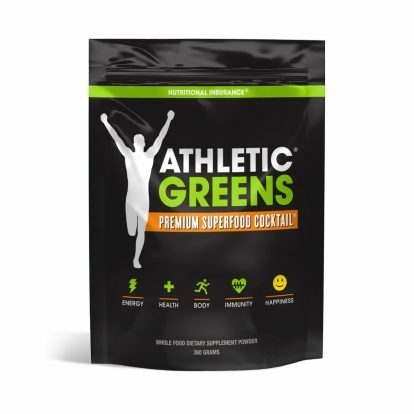 Athletic Greens is different from most things on the market. It’s a very complete whole food supplement. Its available with 75 ingredients working together to help with 11 different areas of health. It’s been developed over 10 years by doctors, nutritionists, and one scoop has the antioxidant equivalent of 12 servings of fruits and vegetables. Now you can get 20 free travel packs valued at $100 with your first purchase by going to one of our promo code links. Check out the best prices from Amazon.